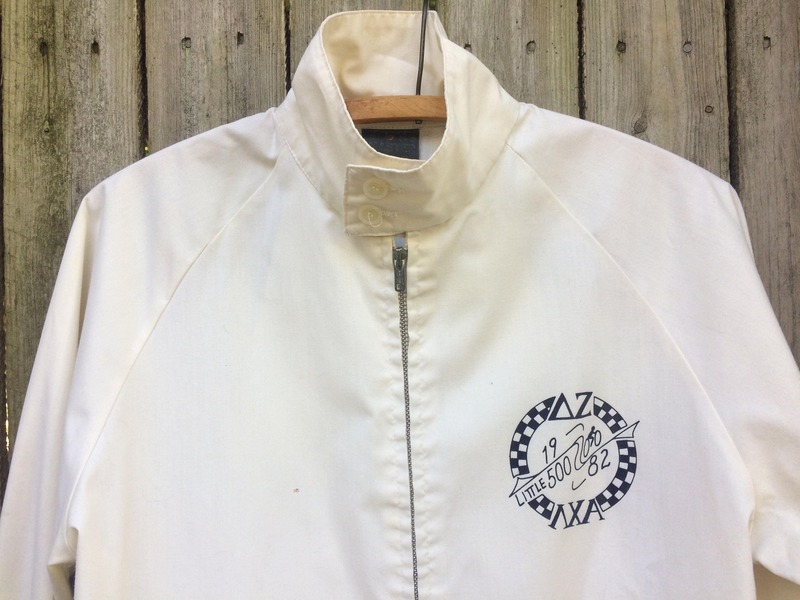 Vintage Little 500 1982 Bomber Jacket. Indiana University. 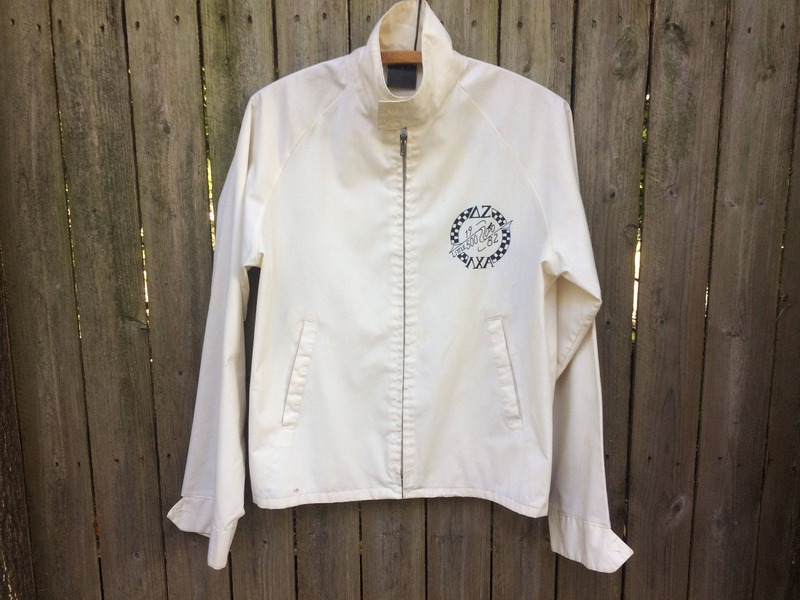 Off-white Little 500 1982 Indiana University light weight bomber jacket. 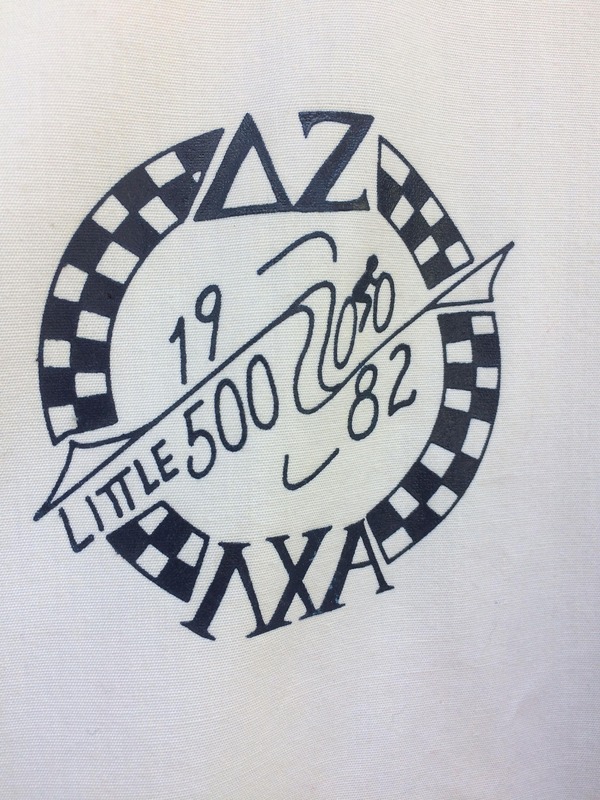 Great navy graphic on left breast of round race track, Delta Zeta and Lambda Chi Alpha greek houses, and Little 500 1982 with a stick figure cyclist. 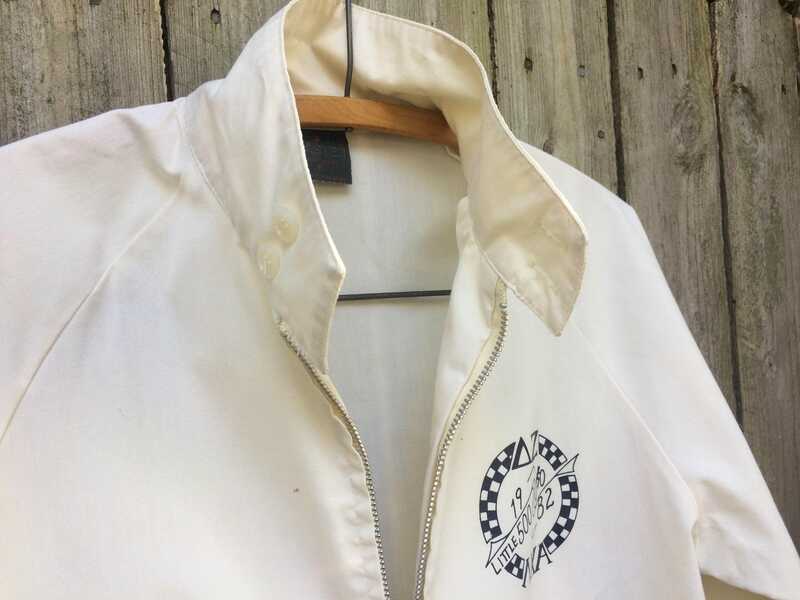 Zipper up front with two buttons on mock bomber collar and two buttons at each wrist for closure. Straight fit at front with thin elastic gathering on the back side. 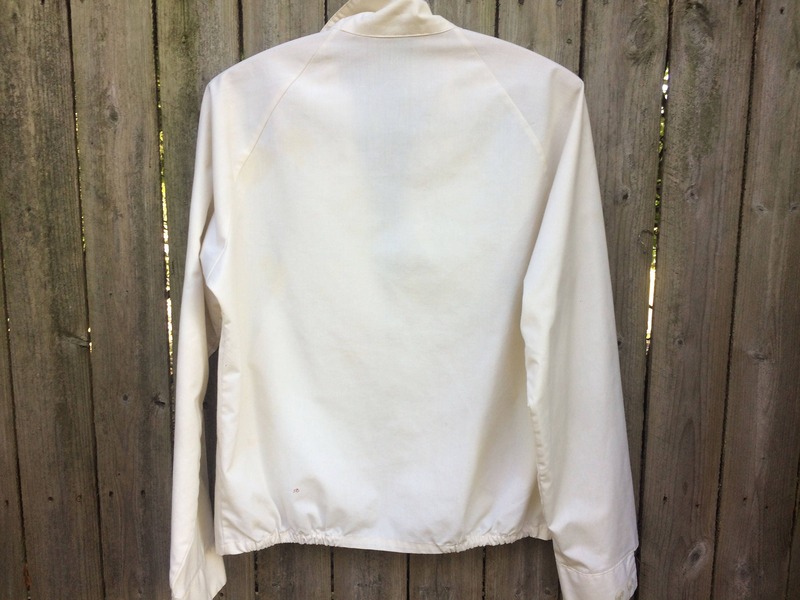 35% cotton/ 85% Dacron polyester.